When Kim was very young she had learned that baby mammals literally die without touch… that insight moved her greatly. Over time, an increased knowledge that touch has the power to nurture us, to connect us, and to transform us, inspired Kim to learn more about the concept of the healing powers of touch and with that she developed a very marked interest in the stunningly complex world of massage therapy. 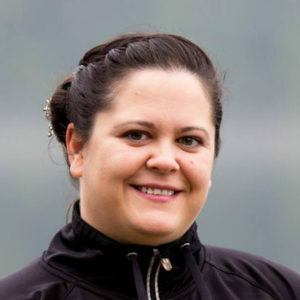 In January 2010, Kim graduated from the Okanagan Valley College of Massage. With several years of formal training, along with working in various health spa and multidisciplinary clinic settings, Kim has gained valuable practical experience. Kim offers her clients a strong sense of empathy, a keen interest in enhancing their quality of life, a dedication to working closely on each person’s individual health goals, and a commitment to promoting the overall well-being of mind and body. Kim offers a wide range of therapeutic techniques including deep tissue massage, myofascial release, trigger point therapy, neuromuscular therapy, sports massage, prenatal and Swedish massage. If you would like to book a treatment with Kim, call 250-833-5899 or book online.